If you missed out on my last post I introduced this amazing clothing company, Lime & Vine. To summarize my last post Lime & Vine carries chic and comfortable items that are easy to mix and match with your current wardrobe. 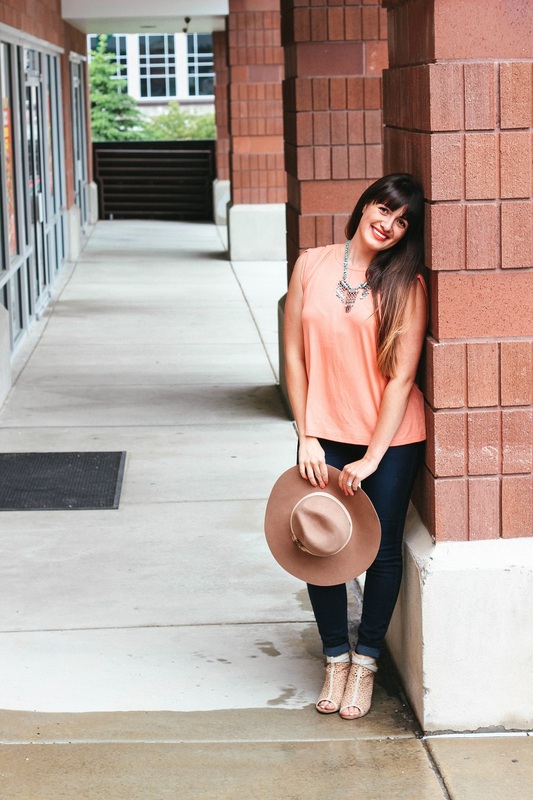 For part 2 of my series styling Lime & Vine, I styled their Young shirt. 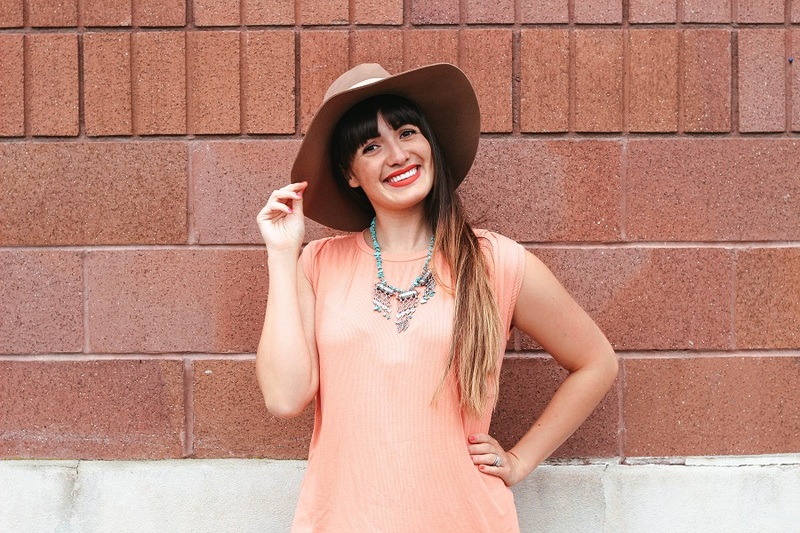 This shirt is perfect for summer and I personally love the cantaloupe color. It adds a pop of color to any outfit I put together. This outfit was worn for a morning of shopping and afternoon date with my husband. 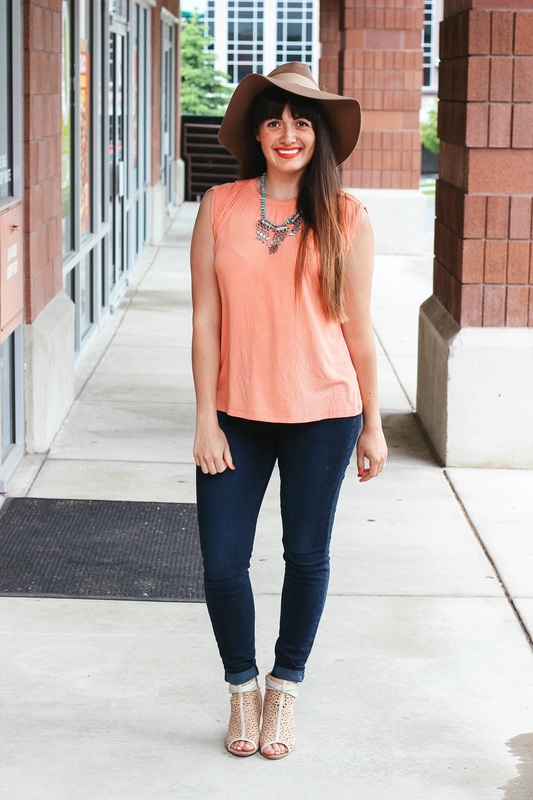 I styled my Young shirt with jeans, cut-out heels, a fedora, and one of my favorite statement necklaces. umm give me those shoes!!!!!!!! 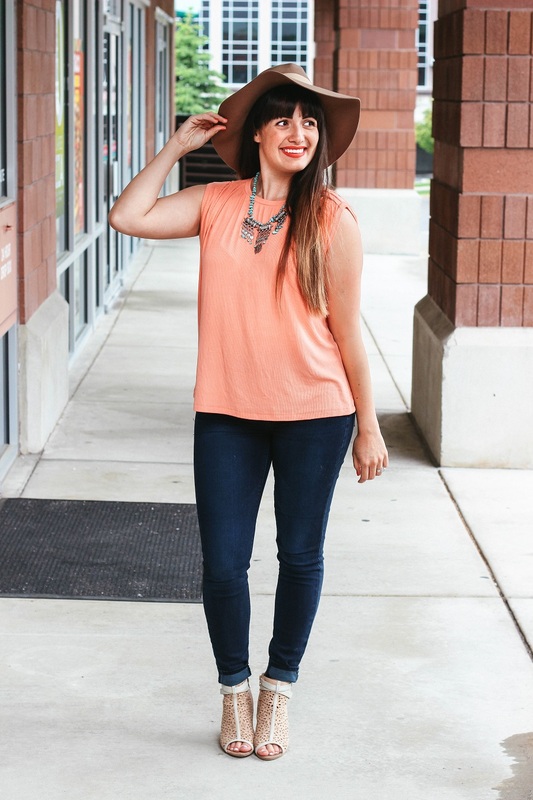 This is a cute running errands look, and I love the color of the tee!